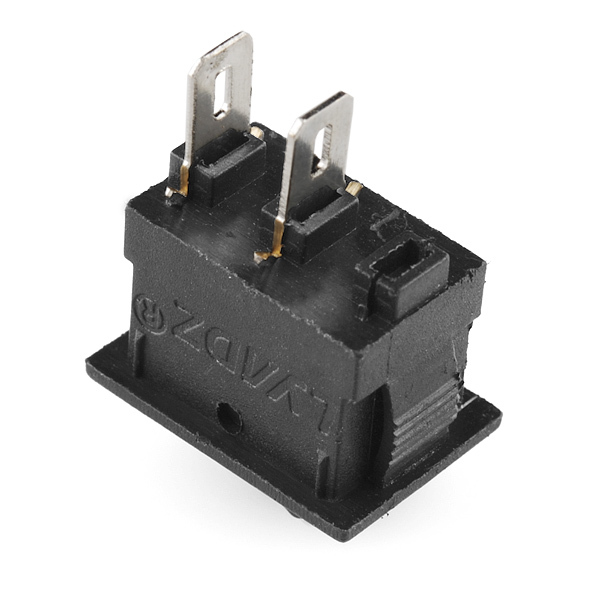 Is it possible to get a rocker switch the same size as this one but SDPT (3 pin)? I soldered wires to the leads on about 50 of these. If you are careful it can be done consistently. 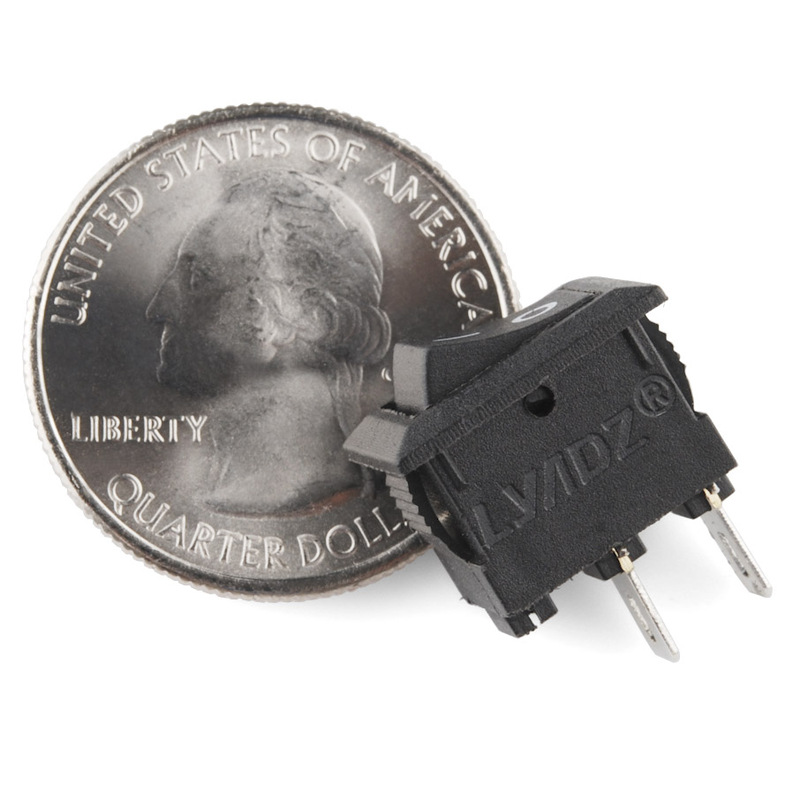 These are typically meant to hook up to female blade connectors. If you want to solder to them, scuff the metal with sandpaper until it is all copper - solder will now stick easily :) They're not copper on the surface because copper is too soft for connectors and will also oxidize, so there's some sort of harder (and harder-to-solder) metal over the copper. 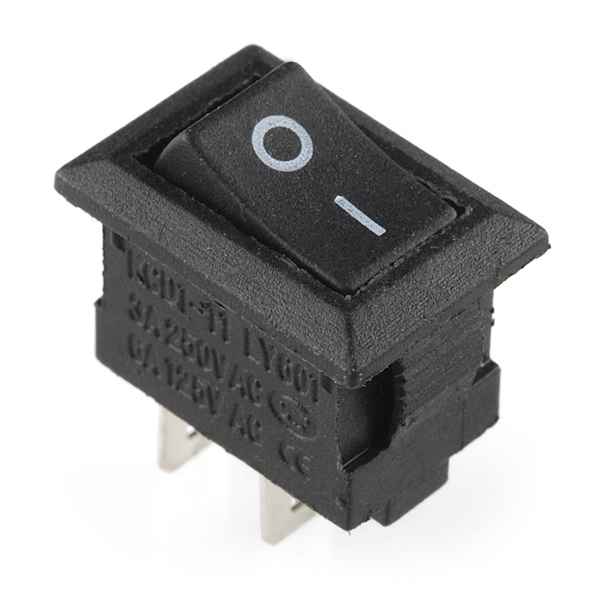 These are nice little switches. Sparkfun is an excellent resource. You cannot solder these switches. The plastic in the switch melts so rapidly that you'll never get the metal tabs heated up enough to get the solder to bond properly. I tried it twice and roasted both switches in less than 10 seconds. Use connectors. I've soldered several of these, never any problems. I don't understand the dimensional drawing... it seems way off. 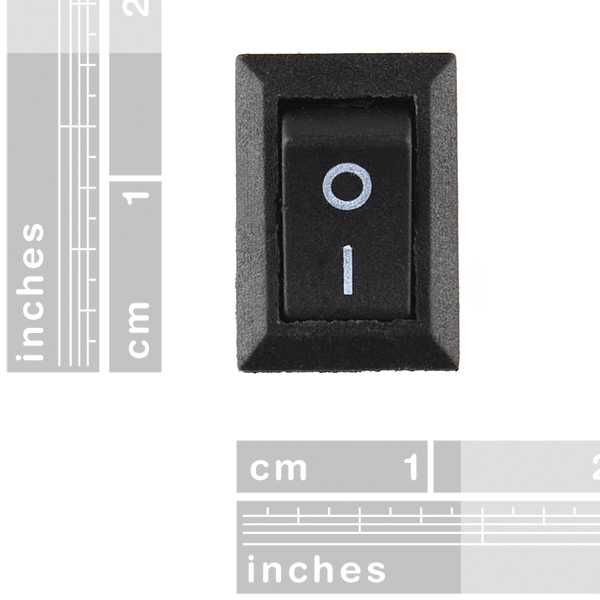 The width of the switch is only 10.5mm whereas the depth of the little lip is 14mm? I am reading it wrong? The amperage limits seem to be reversed with respect to their voltages in the Features above. Also that's probably resistive current, not reactive. That's probably something that should be explained.